"Good binoculars are to a field naturalist as a set of spanners is to a mechanic, a stethoscope to a doctor. They must be clear, sharp and an effortlessly natural extension to the eyes and the hand. They are a vital, silent route to where you want to be." 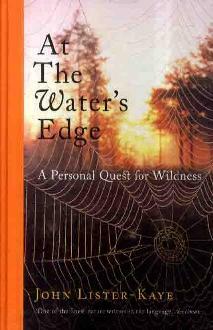 At the Waters Edge; A personal quest for wildness. John Lister-Kaye. Canongate Books. 2010. John Lister-Kaye comes from a long line of landowners and business leaders. He has an interesting life story, that expains how and why he ended up as a naturalist (Wikipedia has a good entry on him). He has run the Aigas Field Centre in the highlands of Scotland since 1977.